I absolutely love my maytag washer! I purchased this actual washer back in 1998 and it still washes my clothes as good today as it did the first time I used it. I went to Sears to purchase it and since then I have moved about five times. With every move, it was easy to hook my washer back up and get it running with out the help of my husband. I did not have any specific brand in mind the day that I went out to shop for one, I just ended up purchasing a Maytag because it was in my budget and I liked the color. (Like a cream color) Since then, I have went and got me a Maytag dryer and I am updating my house so I am about to update my appliances. I am definitely going to get the Maytag combo washer and dryer set because I know that I will be set for another 10-15 years. I recommend everyone in purchasing a Maytag washer. They are great with service calls and very customer oriented when they come to your home. I needed them to fix my washer once when my son put two pairs of his shoes and tons of clothes into the washer and caused it to jump off track. They came out to next it two days after the initial call for service and did a wonderful job. Love it! maytag makes agood washer,good controls,good price, good clean wash,quiet. what more do you want? NEVER NEVER AGAIN will I purchase a Maytag. I waited years before I bought my dream machine only to end up totally hating it.I learned the hard way to make sure you have no change in pockets as I've already had to replace my drain pump 5 times at $200.00 a pop.why they didn't put a screen in the opening where it drains so change couldn't get into the motor is beyond me, that would of saved people money in the long run. I am just waiting for this Crap machine to die completely because all I hear from my husband these days is "honey I have to have this machine,it's the best out there" eating my words now lol. and the price for this machine, what a joke. shame on Maytag. We purchased a MAYTAG CENTENNIAL. It has a "Delicate" Cycle, but agitates on this with the same rough motion as the "Normal" cycle. Our previous washer was also Maytag,but definitely had a gentle cycle. This is NOT gentle by any means--twists articles as though I had wrung them by hand! In almost fifty years of marriage, this machine is the worst! 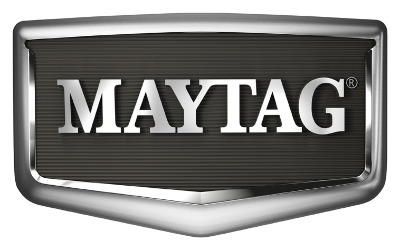 MAYTAG said essentially that they were sorry and would file my comments. Definitely our LAST purchase from MAYTAG! What a terrible disappointment! My wife and I are near retirement and bought a Maytag washer 3 years ago. We thought, based on the ads, that this would be the last washer we would need and were happy to spend the extra money to get a really "good" appliance with stainless steel basket, extra capacity, etc. Three years later the transmission and clutch gave out. Not a problem, it's a Maytag so we thought. We contacted the repair service and they said the parts were only warranteed for 1 year, and it would cost more to repair the machine than to buy a new one. We couldn't believe our ears, so we contacted Maytag directly. When my wife explained the situation, the woman at Maytag assured us the parts were covered for 5 years, so we contacted the repair service again. The repairman checked his files and said, no, the parts are only warranteed for 1 year. My wife contacted Maytag again while the repairman was there and now they changed the story and said the parts were only good for 1 year. Here we are, only 3 years into our Maytag and we are forced to buy another washer. We've had Kenmore washers before that lasted much longer than this expensive Maytag. The ads are misleading and the quality is terrible. They are promoting an expensive and supposedly high quality product that is really lower quality than less expensive washers from other suppliers. They are taking advantage of the Maytag name to sell products that are poor quality with no real warranty advantage. Shame on Maytag! We will never buy another Maytag appliance again and will certainly tell everyone we know about our terrible experience with this company.